"Marmalade" the title song and third single drops Tuesday, March 20th. 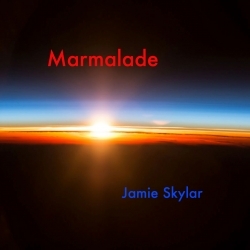 Los Angeles, CA, March 19, 2018 --(PR.com)-- The third single and title song “Marmalade” from the new album by international performer, recording artist and Producer Jamie “Sky” Skylar will be released on Tuesday, March 20th, according to a spokesperson for Prophet Records. Following the first single It Makes Me Crazy that dropped January 25th, which has had an overwhelming response, and the second single I Know You Know the Walrus Too that dropped February 21st, Marmalade is the third of four singles slated to drop prior to the release of the album titled Marmalade on April 27th – available on iTunes, Amazon, Spotify, Pandora, YouTube and other music sites worldwide. The fourth single Lay Me Down will drop April 3rd. Pre-sales for the album begin April 16th. “Anything that divides us and keeps us from coming together is intended to conquer us,” Skylar said. “So it is up to us to challenge the status quo and these devices at every turn, on every level. Whether it is the lines drawn between the haves and have nots, countries, states, cities, political parties, religions, sexes, universities, or sports teams, etc., we must see them. Not only for what they are but for the destructive and divisive energy they create between us especially when taken to the extreme. More importantly, they draw our attention away from the truly critical issues, like the fact that on a planet as rich in resources as planet earth, no one should ever have to go hungry, and no mother should ever have to watch her baby starve to death,” said Skylar, a long-standing human rights activist. The first single, It Makes Me Crazy, addressed this issue directly and Skylar will do even more by donating a substantial percentage of the proceeds to stamp out hunger now, confirmed a spokesperson for Prophet Records. Like three other songs also featured on the album, Marmalade just came to Skylar the way it is, she confirmed. “It’s not like I set out to write this particular song,” Skylar said. “I just picked up my guitar one day, started playing, and was immediately inspired - it was as if I had suddenly become a conduit, if you will, the instrument chosen to write this song – and there it was – music, words, everything.” “Like Magic,” Skylar said, “and it’s an unbelievable even mystical experience when it happens like that, and I think you have to honor that and pay special attention to a divine gift like that.” Given, that the album was initially recorded at the Hyde Street Studios, formerly the old Wally Heider Studios in San Francisco, where Jefferson Airplane, Bob Dylan, Janis Joplin, Jimi Hendrix, Quicksilver Messenger, The Grateful Dead, Harry Nilsson, Crosby Stills Nash and Young, Santana, Creedence Clearwater Revival and so many other greats had all recorded, there is no doubt that there was definitely magic in the air for Marmalade. Also contributing to the magic at the Hyde Street Studios (San Francisco) and LAFX (Los Angeles) were multi Grammy® Award-winning Engineer Mark Needham (The Killers, Paul Simon, Fleetwood Mac, Chris Isaak); Drums and Percussion, Ernest “Boom” Carter (Bruce Springsteen-Born to Run); Bass, Bobby Vega (Etta James, Zero); Lead and Rhythm Guitar, William (Bill) “Sputnik” Spooner (The Tubes, From Mall to Mars); Guitar and Steel Guitar, Jeff Watson (Night Ranger); Keyboards and Strings, Co-Producer George Michalski (San Francisco, Yosemite, Barbra Streisand’s Greatest Hits, Vol. 2); and Keyboards and five time Grammy® Award-winning Producer John Jones (Celion Dion, Duran Duran). A limited tour, television and other appearances are planned to support the album, subject to Skylar’s prior filming and other commitments. Skylar and Jones will team up again later this year for the soundtrack of the upcoming feature film, The Caul of Moijan, written, produced and directed by Skylar for Skylar Film Studios, LLC. Family ties of note, also in the business, include Skylar’s son, Producer Dylan Johnson (Waterfront Property), and actors, brother Don Johnson (Miami Vice, Nash Bridges) and niece Dakota Johnson (Fifty Shades of Grey). Prophet Records, A Division of Skylar Film Studios, LLC.